Usually I think gameplay is more important than the quality of graphics in a game. Solid gameplay will hold up over time but the graphical envelope is constantly being pushed forward. Good gameplay lays the groundwork for a game with long lasting appeal. Great gameplay can be fun years down the line even when the graphics are totally outdated. With that said, properly implemented graphics can make a game entirely unique. I'm not talking about a higher polygon count or making a game that looks photo-realistic, I'm talking about style. Graphical style can completely define a game. Take the recently release Limbo as an example. The game creates a haunting atmosphere by being entirely black and white. The hand drawn style lends itself to a foreboding landscape with an oppressive feel. The sense of isolation is palpable while playing. The whole feel of the game is achieved through its graphics. 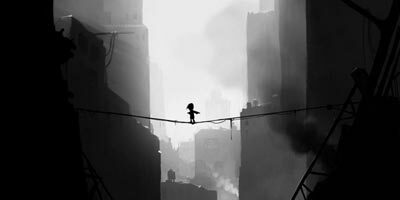 If Limbo had been created with bright colors and an upbeat soundtrack it wouldn't be nearly the game it turned out to be. 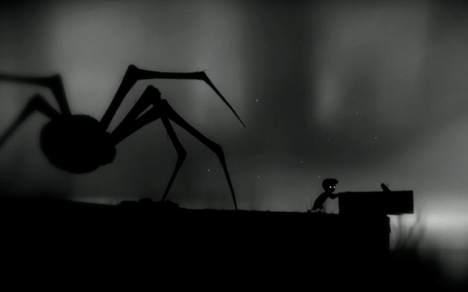 Limbo is the rare exception of a game where graphics do matter. Defining a style is much more important than getting higher resolution or more realistic graphics. Mario games, World of WarCraft, Braid, Okami, and Borderlands are a few games that come to mind when I think of a well defined graphical style. They've all created their very own visual style through their imagery. I can't recommend Limbo enough as an example of style done right. If you haven't tried it yet, you should. Limbo is an amazing game where the world is the star of the show. The visuals encountered while exploring the landscape are simply breathtaking. I love finding games like this. I look forward to more developers embracing style to support their gameplay. It's time to give the artists a chance to stretch their creative skills and create some unique visuals for everyone to enjoy. All the podcasts that I listen to are raving about this game. Unfortunately, as far as I can tell it's XBox only. :( Seems like the sort of thing I'd love. I think it is Xbox Live Arcade only. Hopefully it'll be distributed other places later. I feel the same way about a lot of PSN games that don't make it to PC or Xbox. I've always wanted to try flower and some of the pixeljunk games. The Zelda rip off in 3D looked pretty sweet too. I wish more games were cross-platform.